Whole parent, whole child, whole family. Featuring Susan Johnson McCabe, educator, entrepreneur, and former Director of Digital Strategy for Harvard University. 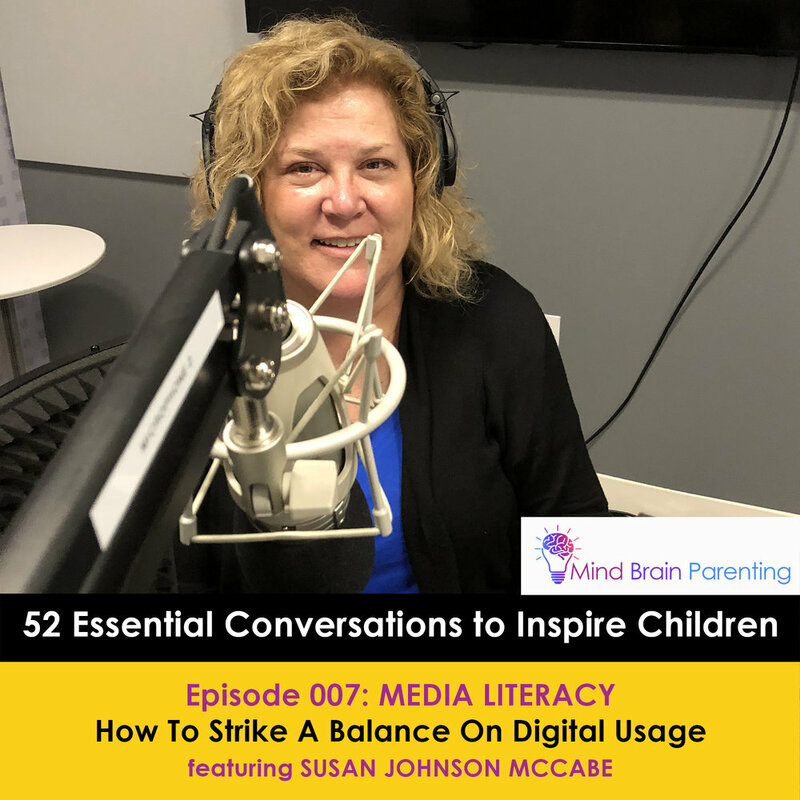 Susan discusses the challenges and opportunities that children face in digital literacy and ways to build competencies in becoming responsible media consumers. She shares her research in children's media usage habits and her work in cyberbullying. Lastly, she leaves us with several useful resources on media literacy. Mind Brain Parenting empowers parents with the skills and confidence to raise inspired and resilient children. We provide parent coaching, online classes, and community workshops. Designed by researchers and educators who are also parents, we help families thrive and succeed in life as creative, curious, and compassionate citizens.